AFH just a few corrections, Tynan is Year 2 of the academy and SO'C is yet to sign a senior deal (If he has, Munster are yet to confirm it). I'd still count both within the group of players at JVG's disposal for the Pro14 and still think we won't be signing anyone external or at most one. Shane Daly has a golden opportunity! I think Nash would also make a good center. Ian Keatley will depart Munster at the end of the season. 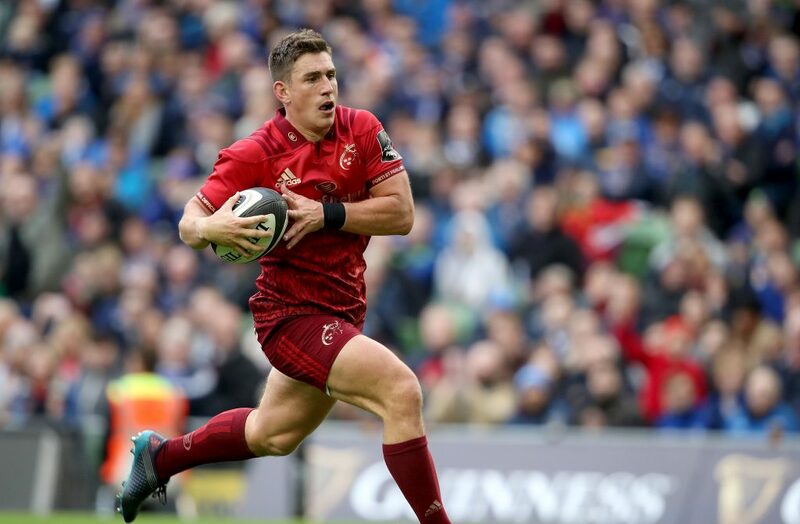 Munster Rugby can confirm that out-half Ian Keatley will depart the province for Italian Guinness PRO14 side Benetton Rugby at the end of the season. Keatley joined Munster ahead of the 2011/12 campaign and has been an integral member of the squad over the past eight years. Having scored 1,247 points in his 180 Munster appearances to date, Keatley is second on the list of Munster’s all-time top points scorers. Capped seven times by Ireland, Keatley is third on the list of all-time top points scorers in Guinness PRO14 (1,428 points) and fifth on the list of most games played (196 matches). I will wash my fingers thoroughly having posted the word in question. Killer just turned 30 a month ago, while Archer is about to turn 31. Given that props tend to have somewhat greater longevity, I wouldn't have expected either of their positions in the squad to be under pressure until the 2020-21 season at the earliest? Holland at 33 is that bit closer to a likely retirement age alright, and Darren O'Shea has been solid but unspectacular - there could/should be more to come from him, but having just turned 26 he still hasn't made the same sort of impact as Wycherley even though Fineen only just turned 21 a month ago, so there could indeed be a question mark over his long-term future with us. I've seen a few comments similar to yours speculating about Tyler's future, but I really think he's still too valuable a squad player to be thought of in those terms. As I said above, if he makes it through to the end of this season without another recurrence of the injury issues which have already dogged him, I think he should be part of our plans for next season. We really need someone with his vision and quality - especially when Carbery will be unavailable for long stretches of that season - and while some may point to his blips against Connacht last month, those were almost as exceptional for him as Carbery's nightmare off the tee against Castres was for him. For me, it's JJ who still hasn't clearly shown himself to be the better option for either 10 or 12 - IMO he's the one who is more prone to panicky/rushed play and poorer decision-making. I know that he's had his own horrendous luck with injury, but the truth is that this has been the case for all three of Tyler, JJ and BillJo and if in spite of Keatley's impending departure we're still deemed to be overstaffed at OH, at this point I would see JJ as being in the weakest position. Yep, I think it will be interesting to see if they're good enough to trek through the group stages of the HCup in autumn. Tbh though it looks like Leinster have a better player than Nash or Daly coming through their academy in Conor O'Brien. He looks quality and has been added to their European squad I believe. Yeah I think it was L O'Connors extension was announced that day. Agree completely with your overall point re Botha. Daly is just as good as O'Brien. If that's still true he should be getting more game time. O'Brien has been playing a decent amount in the last month. I think it would be good to see some more of him in Wales during the six nations. EDIT: Actually, there's a good string of games here where some guys could get some game time. Agreed. I won't be upset if a fit Tyler is around next year. I'm a jaded JJ fan slowly giving up the hope that he will come good. However JJ has recently resigned for 2 years I think I guess that is what leads to the thought that there may be no space left for Tyler. Sorry, I thought you were suggesting that Killer & Archer were likely to be let go at the end of their current contracts - my misunderstanding! Re Tyler, it does concern me somewhat that there's been no announcement to date about a contract renewal for him, and I do fear that he might after all be due to move on. I just think that would be a decision driven by accounting priorities over & above squad strength (especially when, as you mentioned, we have renewed Botha when we have such comparative depth in that area). You couldn't have put it better about JJ - I'll always hope for the best with regard to any of our players, and I would love to see him get to the point where he would be a serious contender to oust Carbery ... but I just haven't seen a return to the mercurial talents that lifted our expectations 5+ years ago. Even allowing for all the various injury struggles, Tyler just seems to have recovered to a better place. Given that JJ is currently out with a hip injury - which IIRC was the cause of some of his previous lengthy struggles - and that Tyler slots into 12 so easily when the one area where we still aren't quite at 100% is at centre, it seems to me that not even offering him a one-year extension would be self-defeating. All times are GMT. This page was generated at 12:23.